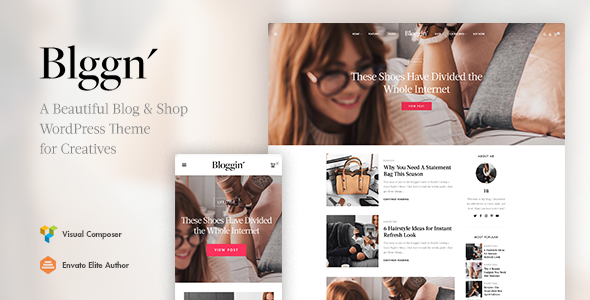 Meet Bloggin’, a fresh-faced stunning blog & shop WordPress theme for creatives. Theme is ultra professional, smooth and sleek, with a clean modern layout and it’s extremely easy customisable. The theme offers great user experience for almost any need and it is perfect for fashion, lifestyle, travel, food, craft and many other creative blogs.